This home features steel siding and a fenced backyard for your outside enjoyment or view it from a large 3 season porch that keeps the bugs away! The living room has a a gas fireplace to warm you during the cool evenings. Original hardwoods throughout the main living areas have been protected under carpeting since the house was built. The granite counters in the kitchen are a nice upgrade. Sliding doors in the dining area take you to the 3 season porch that is sometimes hard to find in this price range! 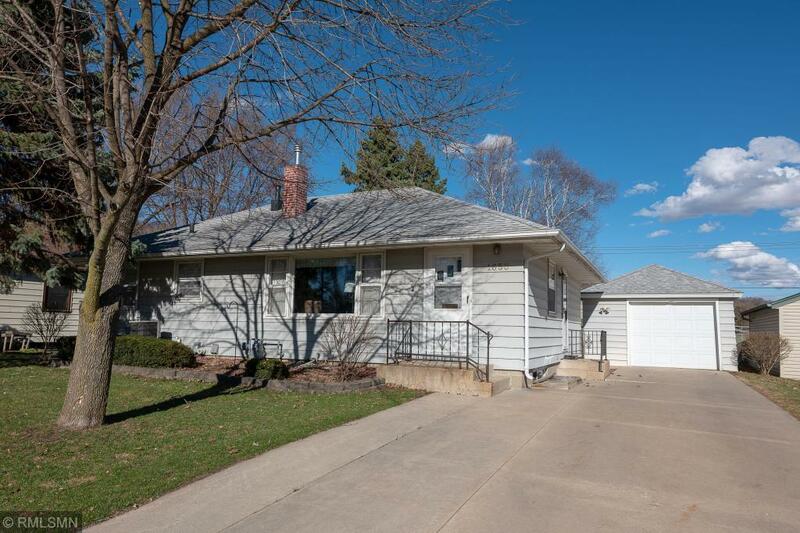 This home is positioned with open spaces behind it and is centrally located between the elementary, middle school, Silver Lake Park and Silver Lake Shopping Center! Plus there is room to add your own finishing touches to make this house feel like your own. Whether you are buying your first home, downsizing, or somewhere in between, this home has features that are sure to please.